One of the fastest developing cities in India is Gurgaon. It is the second largest city and significant town in Haryana. Few 10 years back, Gurgaon is tremendously developed. The reason behind the development of Gurgaon is the city is close to South and North Delhi. Gurgaon is now called as classy city as a large number of malls, theater halls, water parks, night clubs, pubs etc are constructed which makes this city more beautiful and trendy. Nowadays in each and every city have shopping malls and centers to attract people and facilitate them to buy the goods and enjoy unconditionally. All these huge buildings and real estate markets bring out the economic level of the city to mesmerize the visitors. In India most of the metro cities are now progressing and developing in setting shopping malls, centers, halls, etc. Gurgaon malls are highly recommended by the visitors as they love to shop and spend their leisure hours to enjoy with their loved ones. 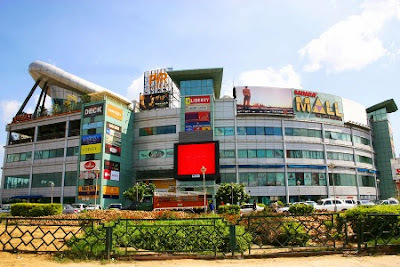 One of the largest shopping mall in Gurgaon is Ambience Mall. To experience the beauty and magnificence of Ambience Mall, one needs to go there and visit the mall for whole day. Ambience mall attracts visitors towards itself because of its beauty and is located at NH-8, Gurgaon. From all the Gurgaon malls, the largest and the most fascinating one is Ambience Mall. One will get attracted towards Ambience Mall by the cafes, eating junctions, multiple cuisine restaurants, shopping centers, multiplex theatre halls, branded shops available etc. Ambience mall covers the entire area of 3 km and has 3 floors in which retail showrooms, shops are constructed to attract the visitors and enjoy the visit completely. Overall architectural design of Ambience Mall is impressive for viewers. Gurgaon malls are enchanting to visitors and make them feel ecstatic at the moment one visits the place. Stores available in the malls are mostly trendy and funky for kids. Gurgaon is highly developed nowadays but to some extent city is lacking behind like the issues of power cut and the infrastructural development is not good. Some of the areas are still there where roads are not properly constructed. All these causes are due to the government as they work very slowly in terms to develop the infrastructure in the city. Kids can also enjoy with their friends at the special playing zone. People who worry about their health and fitness, they can also come here and join gym to make their body fit and fine. Visitors get attracted easily at the moment they see Gurgaon malls as the malls are fabulously planned by the constructed groups. In the building many facilities are constructed like multiplex theatres where visitors can enjoy with their loved ones and watch movies, eating junctions where all kind of food stuffs are available under the same roof, restaurants, ice cream parlors, Coffee café day, beer gardens etc. As all the mentioned things are available under same roof of the mall, visitors love to visit this kind of place so that they can enjoy with complete zeal and make the moment more memorable. Nowadays in each and every city have shopping malls and centers to attract people and facilitate them to buy the goods and enjoy unconditionally. All these huge buildings and real estate markets bring out the economic level of the city to mesmerize the visitors. In India most of the metro cities are now progressing and developing in setting shopping malls, centers, halls, etc. Gurgaon malls are highly recommended by the visitors as they love to shop and spend their leisure hours to enjoy with their loved ones. One of the largest shopping mall in Gurgaon is Ambience Mall. To experience the beauty and magnificence of Ambience Mall, one needs to go there and visit the mall for whole day. Ambience mall attracts visitors towards itself because of its beauty and is located at NH-8, Gurgaon. From all the Gurgaon malls, the largest and the most fascinating one is Ambience Mall. Kids can also enjoy with their friends at the special playing zone. People who worry about their health and fitness, they can also come here and join gym to make their body fit and fine. Under the same roof one can find their desires easily whether it is related to shopping, restaurants, kids playing zone etc. Mall is the best place to visit with your relatives to make the visit more memorable. Visitors get attracted easily at the moment they see Gurgaon shopping malls as the malls are fabulously planned by the constructed groups. In the building many facilities are constructed like multiplex theatres where visitors can enjoy with their loved ones and watch movies, eating junctions where all kind of food stuffs are available under the same roof, restaurants, ice cream parlors, Coffee café day, beer gardens etc. As all the mentioned things are available under same roof of the mall, visitors love to visit this kind of place so that they can enjoy with complete zeal and make the moment more memorable. Gurgaon City is home to some of the top listed companies of India. Most of the companies of Gurgaon City target real estate for investment. The MNC in Gurgaon City plays an important role in developing the economic growth of the city. In fact, Gurgaon has been preferred by many multinational players as an ideal destination to set up their business. General Electric (GE) had been the first MNC that had its office in Gurgaon. This opened the way for many others to come into the city. Today, Gurgaon houses the offices of almost every top-notch multinational firm. The presence of MNC’s has also made Gurgaon as the most liked place to earn a livelihood and to reside among the fresh blood from all over the nation. Gurgaon is one city that has experienced rapid growth and development as a result of the increasing number of MNC companies establishing their offices here. From automobiles to IT and from entertainment to real estate, all companies are present in Gurgaon City for the last few decades. Due to the development of top MNC’s in the city, Gurgaon is considered as a technology hub for the India. Searching For Engineering College? Gurgaon is a Place For You! Engineering is regarded as one of the most popular satisfying professions. A lot of opportunities and possibilities are available at every step which makes the profession more rewarding and promising. Engineers can opt for various fields like research, design, product development, services and manufacturing. The profile involved is quite demanding as the assigned tasks and responsibilities need lots of intelligence and insight of the theory and law execution. If you are also planning to opt for engineering profession then it is imperative to own a specialized degree. Today, there are numerous colleges and universities out there that offer courses in almost every stream of engineering. 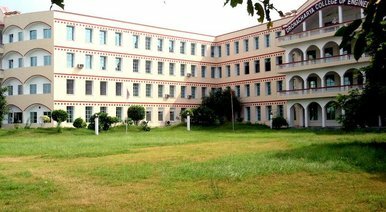 Some of the optimum engineering colleges of the nation are in Delhi NCR region including Noida, Faridabad, Ghaziabad and Gurgaon. Engineering colleges in Gurgaon are, in fact, among the best colleges with their main focus on converting proletarian students into capable professionals. Professors play a crucial job in doing so. Almost all engineering colleges in Gurgaon possess a team of highly skilled professors who have a good experience of their domains. They impart their expertise and knowledge to students that help them understand the sector better. Gurgaon is one of the most important cities of Haryana. Not only the seond biggest city of Haryana, it is also a major economic and academic hub of the city. It also forms a part of the National Capital Region. Many multinational corporate have their offices in Gurgaon due to which it has also emerged as a business hub. It has a number of shopping malls and other tourist attractions located nearby. All these factors have led to an alarming rise in the number of hotels coming up in the region. Especially the area around the railway station and the airport is full of rows of hotels. Ranging from five stared to single stars, most of the hotels in Gurgaon offer luxurious facilities to make the visit a splendid experience. Depending over your choice you can choose a luxury, premier, business hotel, though various other options are also available. The price range of five star hotels varies from Rs.10, 667 to Rs. 8,225. The top rated five star hotels in Gurgaon being The Leela Kempinski, The Trident, and The Westin Gurgaon. Most of such hotels rae located at the National Highway, and remain occupied because of their unique position. These five star rated hotels provide general facilities like air conditioned public areas, airport transportation, babysitting, wireless high internet access and computer station, a technology helpdesk, small meeting rooms, and a ballroom. It has designated areas for smoking. The room amenities include paid movies, video games, bathroom scale, premium bedding, etc. They often provide an outdoor pool and a spa tub on the site and other recreational amenities like a health club, sauna, and a fitness facility. While others may not be able to afford a five starred lavish hotel, they can enjoy their stay at a four starred or a three starred hotel like the Lemon Tree Hotel, Bristol Hotel, Galaxy Hotel, Central Blue Hotel, Crossroads Oakwood hotel, etc. Price ranging anywhere between Rs. 2,000-5,000, these hotels also provide numerous facilities like 24 hours room service, restraints in hotel, fitness facilities, free breakfast, minibar, air conditioning, high speed internet access, television, free breakfast, etc. The few business hotels (like The Lemon Tree Hotel) also provide similar facilities. You can pick a hotel to stay depending upon the hospitality provided to you and the purpose of your visit. While most of the tourists find their stay in budget hotels comfortable, those coming up due to some business trip should prefer a business hotel over others. There’s often a conflict while choosing a deluxe or e premier hotel. While a budget hotel may provide personalised services at a minimal cost, most of the luxury hotels focus on self service. Reviews about housekeeping and hospitality are other features that should be looked into before deciding to stay in a hotel. Discount and offer packages are also available sometimes while certain additional services may demand extra money out of your pocket! To name a few other hotels in Gurgaon, there are government approved hotels like The Plaza Solitaire , Vatika Garden Retreat, still other star rated ones like the Apra Motels, Country touch tourist resort, HeritageVillage, etc. Gurgaon hotels provide a large number of amenities that include safety deposit box, meeting rooms, foreign currency exchange, etc. They also feature bars that serve a variety of vintage wines. Most of the Gurgaon hotels are located at a close proximity to the city’s airport and railway station. These , no doubt, provide a warm hospitality and quality services and also offer their customers to choose between standard, deluxe rooms or suits. Be it the president of a multi-national company or a regular backpacker, everyone will find the accommodation options as per their preferences. There are great star-rated and super deluxe hotels, apart from, lodges, inns that are offering budget friendly accommodation to the guests with limited budgets. Hence, no matter whether you’re a business traveller, tourists, vacationer, holidaymaker, explorer, discoverer or a backpacker, accommodation alternatives are infinite for you within the exquisite territory of Gurgaon. Now, let’s talk about these hotels in Gurgaon. No matter what category of accommodation you’re searching in Gurgaon, you’ll get the same effortlessly. Yes, Gurgaon is a conurbation that is welcoming guests from different walks of life. Thus, the accommodation options available in Gurgaon are also varied and of different categories. Certainly, the star rated hotels are preferred and desired by the guests of every category. However, the reality says that it can’t be afforded by everyone who is on a vacation in Gurgaon or landed in the city from a business perspective. Usually, the star-rated accommodations of Gurgaon are meant to captivate the visitors with deep pockets who can actually spend lavishly over their hotel rooms. Although, the starred hotels of the city are also very comfy and offers almost everything that a super deluxe hotel assures to deliver to its guests. These hotels in Gurgaon are highly concerned about the security of the guests. That is why all these hotels in Gurgaon and budget Gurgaon hotels have modernized security systems installed in their premises. Also, the security men with robust physiques are always present in the sheer assistance of the guests. Thus, you can simply unwind yourself while staying in a Gurgaon hotel. On the contrary, the tariffs are highly affordable at almost all the budget hotels in Gurgaon, which is indeed the primary reason why experienced tourists usually pre-plan their stay in the budget Gurgaon hotels, whenever they plan to visit the New Delhi. The price range of five star hotels varies from Rs.10, 667 to Rs. 8,225. The top rated five star hotels in Gurgaon being The Leela Kempinski, The Trident, and The Westin Gurgaon.Most of such hotels are located at the National Highway, and remain occupied because of their unique position. These five star rated hotels provide general facilities like air conditioned public areas, airport transportation, babysitting, wireless high internet access and computer station, a technology helpdesk, small meeting rooms, and a ballroom. It has designated areas for smoking. The room amenities include paid movies, video games, bathroom scale, premium bedding, etc. They often provide an outdoor pool and a spa tub on the site and other recreational amenities like a health club, sauna, and a fitness facility. It is the fast growing corporate scenario that has made Gurgaon emerge as a major IT and business hub. Its proximity to the national; capital makes it even more famous. Besides being a business hub, Gurgaon is made even more interesting by a number of tourist attractions located around the region and a number of malls that have made it shopper’s paradise too! 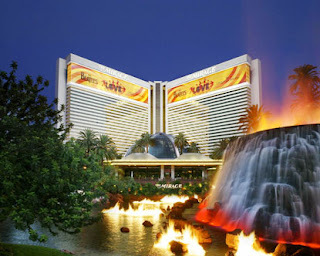 Thus, the city attracts a large crowd which has automatically led to a large number of hotels coming up in the region. One can find cheap hotels, premier and luxury hotels, and business hotels in Gurgaon easily. The hotels located near Mehrauli Road, the airport, or the Railway Station attract large crowds. ‘Airport Residency’, ‘Trident Gurgaon’, ‘The Leela Kempinski”, ‘Centaur Hotel’ being the few of those located at places around the Mehrauli Road. These hotels offer most of the facilities, at a reasonable price. Depending upon what one can afford, there are a variety of options available. Budget hotels likes The Bristol Hotel, The Abode Gurgaon, 7110 Residency, often find an edge over the luxury Gurgaon restaurants as they often give personalised service and offer rooms at a nominal cost. The five star hotels like the Bristol Hotel have a lot to offer. Spread over 4 acres of beautiful landscape and and located strategically The Bristol Hotel is 20 minutes drive from the airport.it offers Riveria Spa, and many other superlative standards of comfort and luxury complimented with a variety of restaurants offering delicious cuisines. The deluxe room charges are Rs. 8,711.The Crwone Plaza Today also offers numerous services like Bar/ lounge, Airport transportation, high speed Internet access, Banquet facilities complimented with comfortable rooms. The room only charges are Rs. 8,705. The Budget Hotels, which most of the tourists find reasonable, also have offer many facilities. The Green Palace Hotel, located near the DT Mall, is an alternative to stay in a 5- star hotel. It provides air conditioned rooms, H/C running water, satellite TV at a nominal price of Rs. 1,900. The Grand Castle located near the DLF square, is very near to all the major corporate houses in the city. The Doves Inn, located on the MG Road also lavishing services at a price of Rs. 1,911. The King Castle, and 49th Square A Boutique Guest House, are other alternatives one can look for. The Iris Park Hotel, is a top rated business hotel that offers amenities like luggage storage, banking, 24 hours room service, Safari, restaurant, high speed internet access, computer rental besides luxurious rooms with premium bathrooms, multi line phone, kitchenette, still many more. Available as Single, Double, and Premium rooms the price ranges from Rs.4,065 to Rs.5,227. The Leela Kimpinski located on Delhi Jaipur Highway has still lot more to offer. It provides babysitting, spa services, wedding services, beauty services, safe deposit desk, wireless internet access, microwave, and massage services at a price of Rs. 12,779. The Park Inn and The Best Western Sky City both located in secor-15, Gurgaon also offer a choice for business trips. So, before planning a trip for Gurgaon make a smart choice of the hotel. Certainly, most of the hotels located in Gurgaon are star rated; however, there are other categories as well. Most of these are located in proximity to the airport. 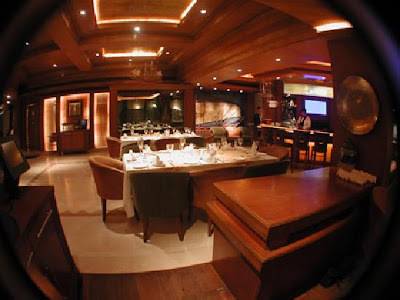 One can have a “once in the lifetime” and a splendid experience in this city of wonder, which is a unique amalgamation of urbanization, contemporary technology mingled with modernisation and have a mighty stay by choosing one of the luxury , budget, or business hotels in Gurgaon depending over the preferences and the trip! Which one is the best mall of Gurgaon ? Gurgaon roads will get improved ? Copyright © 2011 BE Software Solutions. All Rights Reserved.. Picture Window theme. Powered by Blogger.